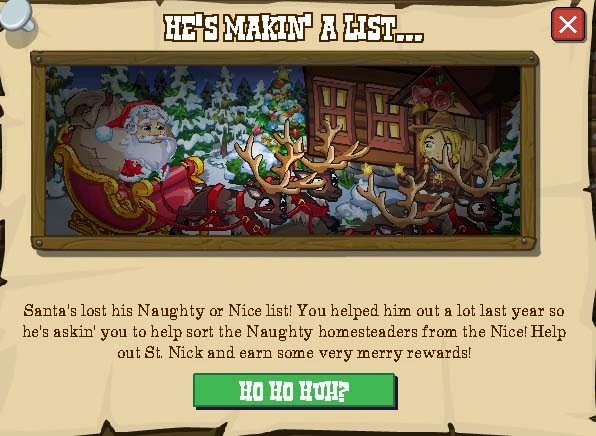 It's time for Santa to visit and give out the homestead's pressies, the only problem is he's run into some turbulence and lost his naughty and nice lists! 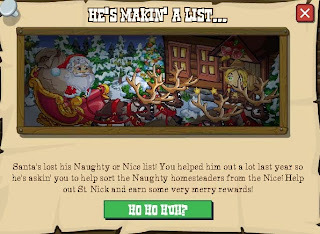 So, it's up to us to help him decide which of the homesteaders come under the headings naughty or nice with some little tasks and missions. writing that list and we WILL be checking it twice! 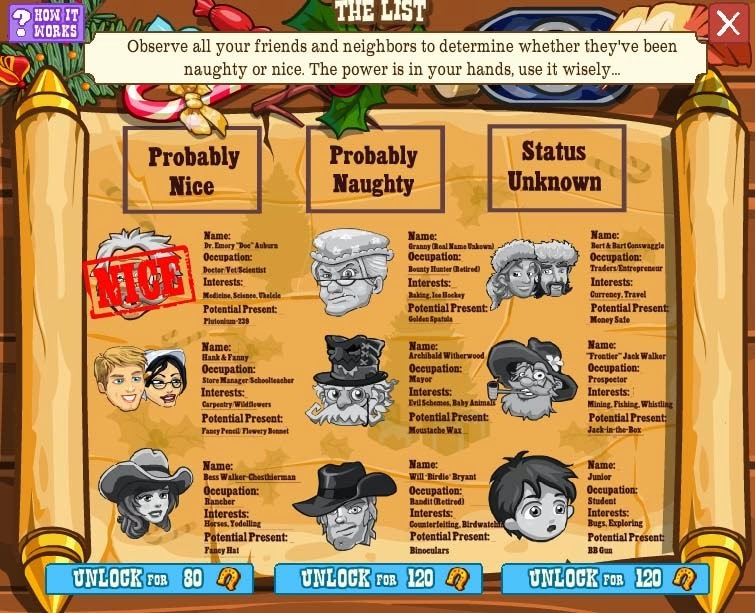 That kicks off a set of 9 missions. 3 wrappers and a Monday mission (all details HERE) but no build, just a small placeable called "The List" which will take us to the "map". 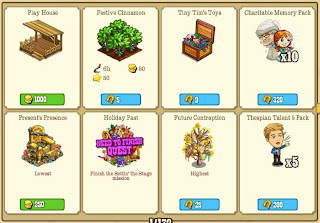 From there on the missions are quite simple, homestead drops, crafts and some new healables... (Healing details are on the mission pages). 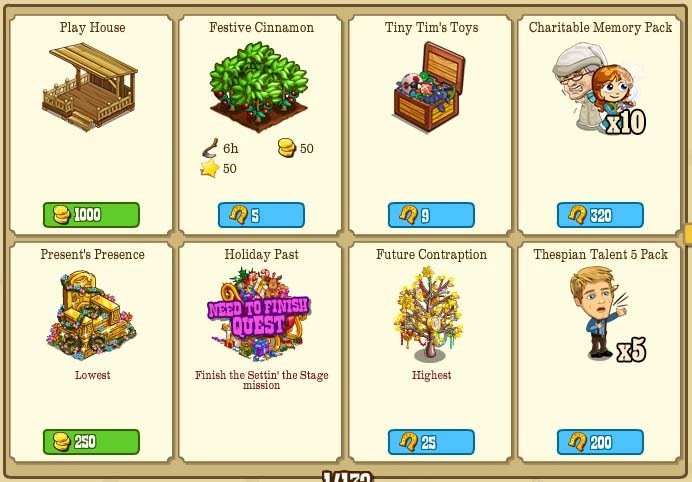 Which will be in the mission along with some other mission goodies. 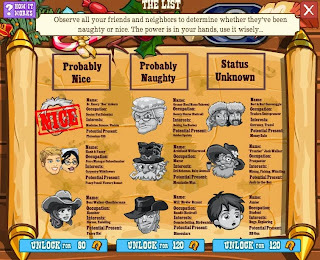 So, lets get going and find out that all important question... Naughty or Nice? 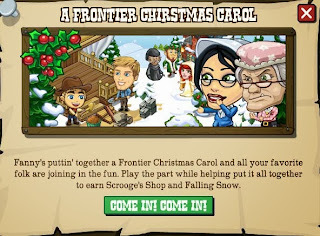 Now and again the Frontier starts to get a little... dramatic! That's theatrical drama of course, and as the festive season is here they've got the perfect play to put on. It's a brand new one based on a book by some British guy called Dickens, something about a Christmas Carol? Yes, we're going to be putting on a production of that most festive of horror tales as Granny Scrooge takes the lead along with the famouse three time travelling ghosts. This will kick off a standard five mission thread, one wrapper and a Monday Mission (all details HERE) and a three step build (all details HERE). 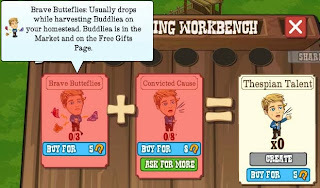 ...which is more than just a single building, it'll also have a "fishing" mechanic attached to it. 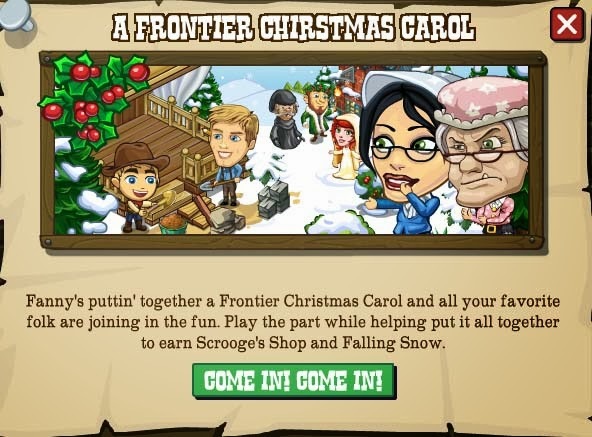 We'll use Thespian Talent to find mission based goodies and gifts. Onto the main mechanic, and it's basically a Partnering mission. We'll use one of three different items, one for each act of the play, Holiday Past, Present Presence and Future Contraptions. These will then morph into characters and items from the play for us to use to renact it! 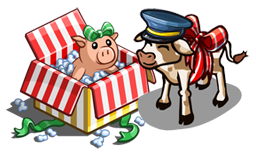 We'll see one new Free Gift and HS Crop, Festive Cinnamon (I now need a cinnamon donut...). Tis the Season to be Giving! We all know what that means, it's a time for goodwill to all men (not you Bess, you're with Ted now) and the giving and receiving of square feet of colourfully wrapped paper, handily delivered wrapped round something we can take to a shop and trade for something we really want. 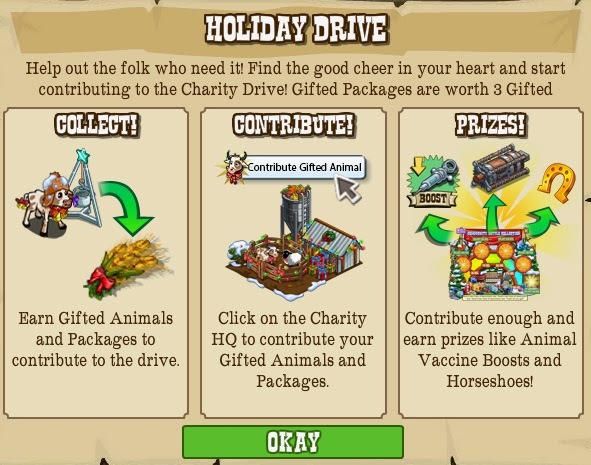 This year though, Flintlock wants to take some of that gift giving energy and redirect it to people in need, so he's going to start up a charity drive to donate animals and parcels to the needy all around the world. As usual, it'll start off with a popup. That will kick off a 5 mission thread and a Monday wrapper (all details HERE) along with a 4 step buildable, the Charity HQ all details HERE). 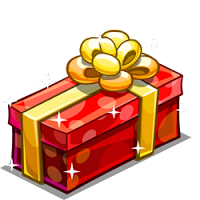 Now, the central trick of the HQ is going to be a brand new Community Collection feature that'll cover all the donations done by ALL the players and lead to some nice prizes once the Community reaches it's totals. 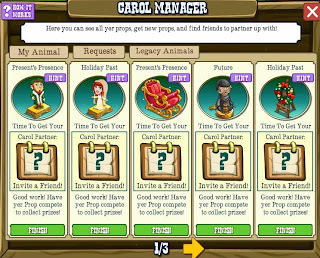 We'll get 4 Holiday Crates, 5 Cattle Power, a Dream Boost, 2 Animal Vaccines and then... the coup de grace... 75 Horseshoes! 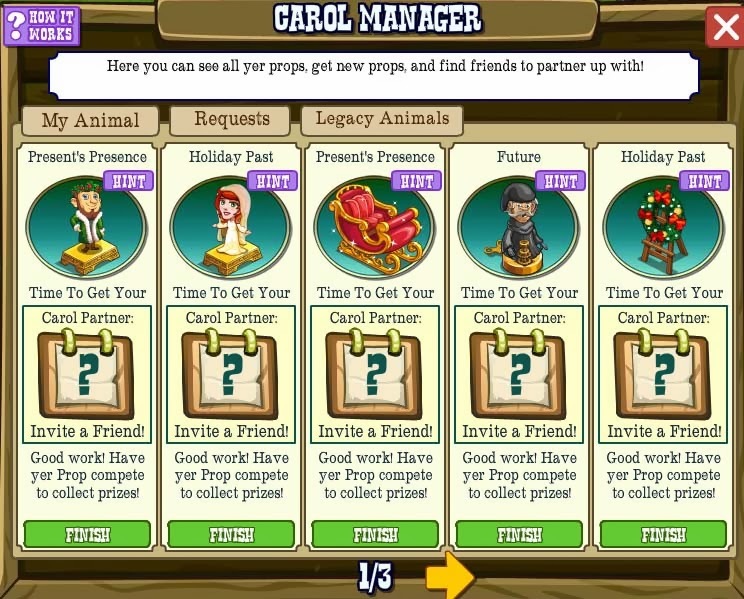 The items we'll be collecting (Gifted Animals or Gifted Packages which are worth 3 points) come at the end of a little chain of events. 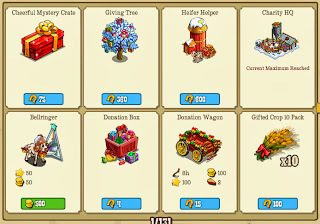 We start off with Bellringers, those are fed with 10 Holiday Cheer and drop Gifted Crops, sometimes on all standard tends and always on the final tend. 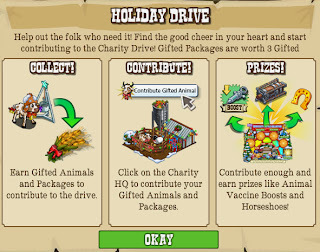 Those Crops are then fed to a new Free Gift, the Donation Box which drops Gifted Animals or the Collection Reward Gifting Wagon which drops the Gifted Animals or Gifted Packages and is a tree, so repeatedly harvestable. We'll also see a Collection that will give a Donation Box and a Donation Wagon. So, it's time to start giving! This December playing Pioneer Trail will do more than just give us a way to spend time, we'll also be playing our part in making life better for people who live in areas of need around the world. 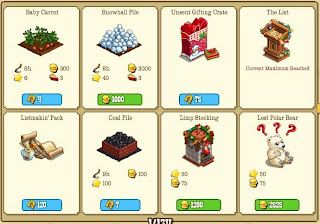 Throughout December Zynga will be giving all the proceeds from certain in-game events to Heifer International, a hugely worthwhile charity that provides communities in developing nations with gifts of livestock, training on how to turn that livestock into a multiplying source of food and income, and education on sustainable and earth-friendly practices. 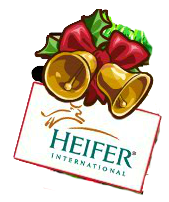 Then, when the animals breed, those babies are given back to Heifer international to be taken to yet more families in need, meaning one cow now could start a dynasty that is still helping people in years, or even decades time. All donations will also be matched up to $400'000! 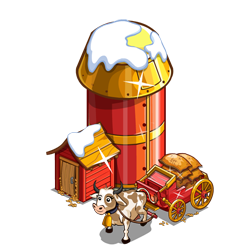 For Pioneer Trail's in game event we'll be seeing three new sale items that will give all their proceeds to the charity... These will tie into this Thursday's release ( a new Community Collecting feature) but are OPTIONAL and will not need to be bought to complete the thread. 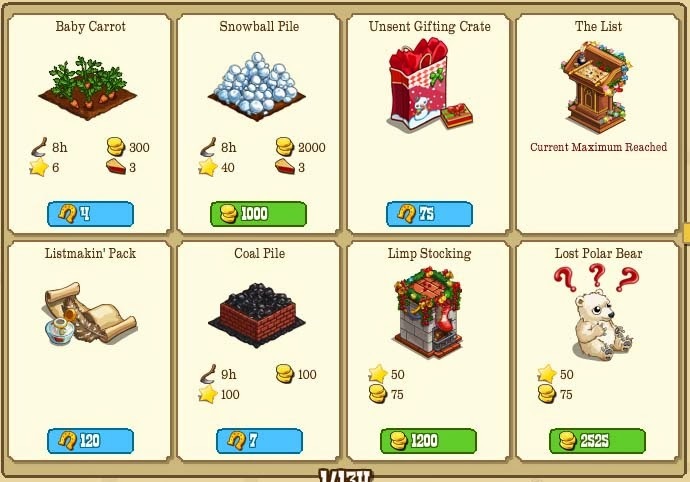 The Holiday Mystery Crate will contain one of a selection of goodies who's original prices come in as more than the cost of the crate. 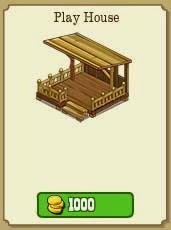 The other two items are both special placeables on the Homestead. 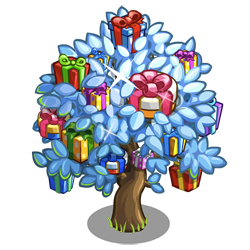 The first, the Giving Tree, can be asked daily for 5 Free Gift Crops, 10-25 Energy, XP, 2 Debris, or a random boost. The second, the Heifer Helper, will make ALL of the animals in either the Barn, Animal Pen, Animal Hospital, or Chicken Coop ready to feed instantly every day.